With the release of the gigantic SMOK TFV12, here we introduce the heartbeat from inside the Cloud Beast King with the monstrously big Duodenary coils, rated for 60 to 350 Watts. Yes 350 Watts ..... We are not recommending you vape that high as its always important to vape safely but these coils are capable of handling high wattage's with ease. 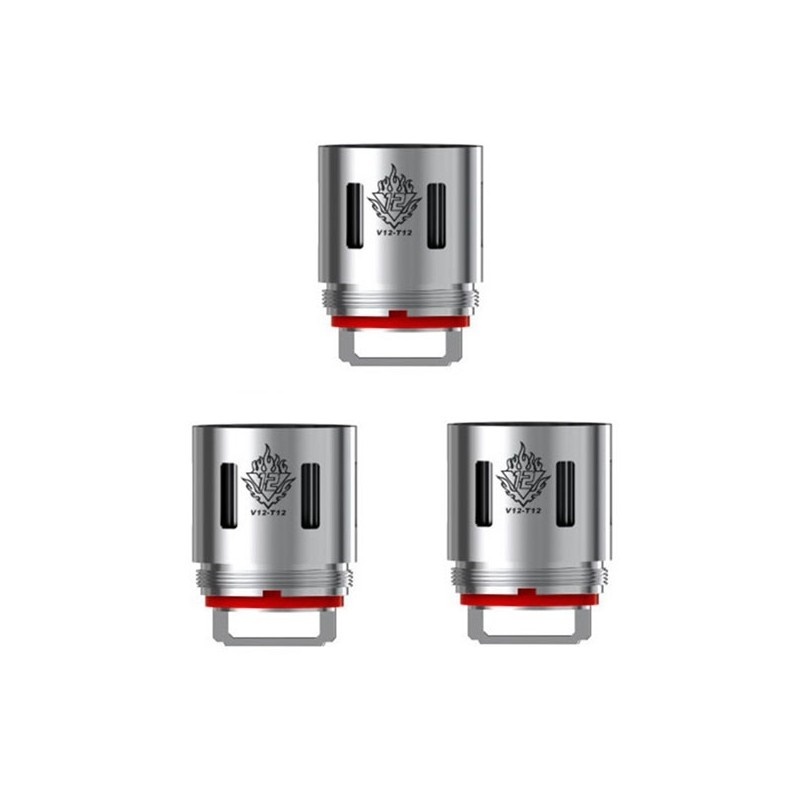 The T12 Coil Head are 0.12 ohm resistance and are extremely well built and constructed to deliver the most dense flavour and fog inducing clouds you’ve ever seen. Great delivery time and great product. As said in the title, it arrived really fast last week and I'm still using the first coil getting great tastes from my liquids.